Ross Hall sits on Hampton Drive and will stay open for next year. Collegian file photo. Butler University has officially decided Ross Hall will remain open for the 2019-20 school year. This decision comes as a result of enrollment projections for the Class of 2023 which indicate the need for additional housing space. The first-year students next year will live in either Irvington House, ResCo or Ross Hall. Ross Hall has been a staple in the Butler residential experience since its opening in 1954. Beyond next year, Ross’s future is unknown. Butler will be unrolling a strategic campus master plan later this year to help determine campus growth. This process will involve evaluating every campus space and deciding the best use for the next several years. 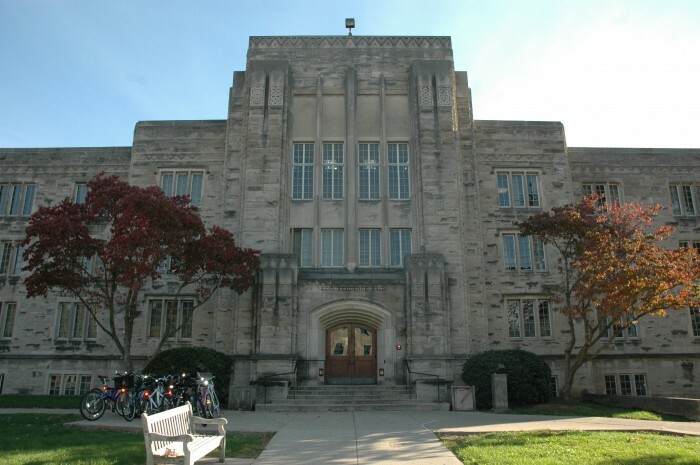 Ross Hall currently has a capacity of 250 students. After the 2017-18 academic year, the university decided to only continue using the first and second floors of Ross. Kathy Shellogg, interim executive director of student living and learning, said she sees Ross Hall as a great opportunity for overflow students. The age of Ross Hall can provide challenges. First-year Summer Martin, an anthropology and psychology major and Ross resident, said she has concerns about the building. Heat is a common concern among Ross residents, as the bedrooms and hallways do not have air conditioning. However, residents usually keep their doors open to combat the heat, which additionally fosters community. Students can report their residential concerns to reslife@butler.edu or visit the Department of Residence Life in Atherton Union Room 303. The Butler Collegian will continue to follow this story.